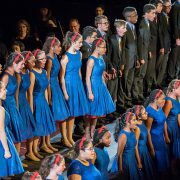 Young People's Chorus of New York City is featured as a special guest for Cellular Songs on March 14-18 at the Brooklyn Academy of Music. 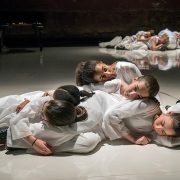 Cellular Songs is the newest in a series of music theater pieces created by Meredith Monk that explore our interdependent relationship with nature while seeking to evoke the ineffable. Following the celebrated On Behalf of Nature, which offered a liminal space questioning the precarious state of our global ecology, Cellular Songs turns attention inward to the very fabric of life itself. 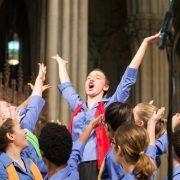 The Young People’s Chorus of New York City and Francisco J. Núñez join the Brooklyn Interdenominational Choir, the St. Patrick’s Cathedral Choir, the Cathedral Organs, and the New York Symphonic Brass in this joyful celebration of Christmas in the majesty of St. Patrick’s Cathedral. 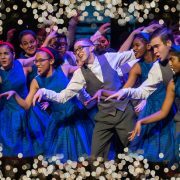 The Young People’s Chorus of New York City makes the holiday season even brighter with a festive concert that celebrates the many ways New York City families commemorate the holidays. Led by YPC Artistic Director/Founder Francisco J. Nunez and Associate Artistic Director Elizabeth Nunez, YPC’s award-winning choristers will be joined by Metropolitan Opera star Ailyn Pérez in program of holiday favorites, international gems, and some very special surprises. This fun-filled concert for the whole family will take place in Carnegie Hall’s Stern Auditorium. 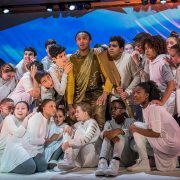 Young People’s Chorus of New York City featured in the New York premiere of “Odyssey-A Youth Opera.” Tickets for children are $1.00. 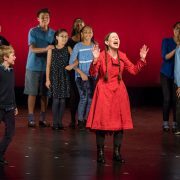 Young People’s Chorus of New York City collaborates with internationally renowned composer Meredith Monk in this U.S. premiere of her multidimensional, multiperceptual work. 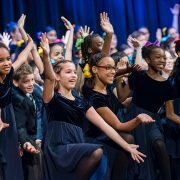 In their Mostly Mozart debut, the Young People’s Chorus of New York City conducted by Artistic Director Francisco J. Núñez will be featured in the festival’s opening concert: an exuberant evening of symphony and song, under Mostly Mozart Music Director Louis Langrée. 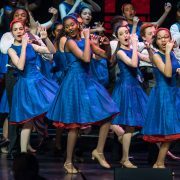 In July the Young People’s Chorus of New York City and Artistic Director/Founder Francisco J. Núñez return to Spain for their second tour, beginning with a concert in Catalana followed by a festival of competitions and performances in Vic. 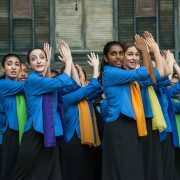 the Young People’s Chorus of New York City conducted by YPC Associate Artistic Director Elizabeth Núñez will sing a choral work-in-progress composed by Jad Abumrad, the MacArthur Award-winning host of Radio Lab, in collaboration with Grammy-winning composer Eric Whitacre at National Sawdust.